Thank you once again as you always make my day! 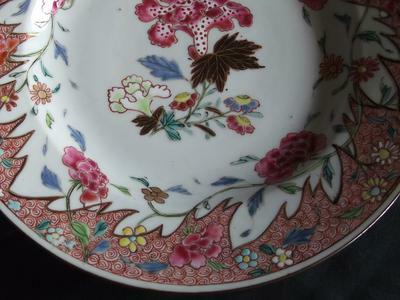 I was thinking the charger was possibly Yongzheng and despite the damage you can still see its beauty. 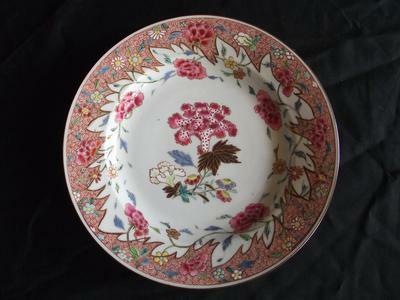 I stopped myself from hoping that the other one was around that age because as I say of its pristine condition and because I own no other Famille Rose porcelain for a comparison. I feel it was trully my lucky day. Thank you Peter for your time and thoughts and thanks to Andy Murray for keeping people away from that Car Boot Sale! My favorite type of plate. You didn't upload a closeup or bottom picture of the charger. Judging by the decoration it is Yongzheng. 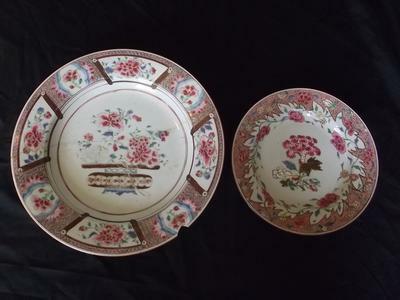 The smaller one is about the same period, first half of 18th century, I would say. Two pounds for both? You paid about 1% of the going rate!